Omega is introducing at the Sochi Games a new technology that in bobsleigh races will provide in-run data to the competitors, their teams and TV viewers. In the world of sports, there is no bigger event than the Olympic Games, eagerly awaited, not only by the athletes and their trainers, but by millions of people around the world. Athletes are breaking the limits of speed and endurance to prove that hard work, dedication and talent cam make the impossible possible. Technology — often overlooked by the public — is another factor that during the Games is pushed to its limits and one of the indispensable technologies of any sporting event is timekeeping. Ever since the 1932 Los Angeles Games, Omega was often commissioned the role of official timekeeper. In those early days, time was measured with hand-held stopwatches that often lead to controversies, especially in athletics and it was not rare that obtaining official results would take a long time. Omega kept searching for new ways to improve the accuracy of timekeeping that led to a list of innovative technologies, such as the “Magic Eye”, a photoelectric cell and the photofinish camera with slit technology, first used in St. Moritz in 1948, the advent of quartz brought the introduction of electronic timekeeping at the Helsinky Games in 1952, the world’s first semi-automatic swimming timer, the Swim Eight-O-Matic of 1956 Melbourne Games, or the its improved version, the Swim’O’Matic introduced in 1972. The list goes on and on, to learn more about the fascinating history of Omega and the Olympics, head over to the official Omega website. 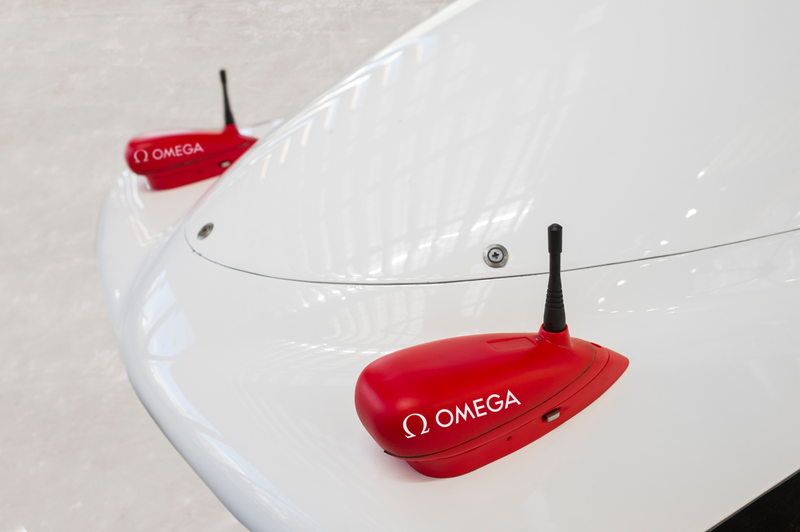 Omega is continuing his course to innovation and during the Sochi Games, they are introducing a new technology in bobsleigh races that makes important in-run data available instantly to the competitors, their teams and TV viewers around the world. The information is gathered by the OMEGA Measurement Unit mounted on each bobsleigh. This innovative new device consists of a speed sensor, a 3D acceleration sensor and a 3D gyro-sensor, all of which acquire data in real time. 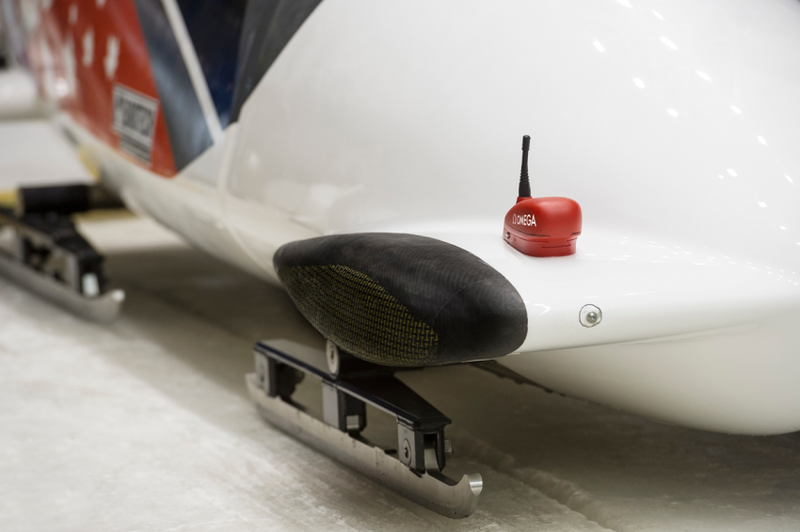 The speed sensor records the bobsleigh’s speed throughout the entire run. The 3-axis gyro-sensor continuously determines the angular velocity of the bobsleigh. Angular velocity is the speed of the bobsleigh as it rotates around the track and is measured as the rate of change of the angle of the bobsleigh subtended at that point on the track by the path of the bobsleigh. The 3-axis acceleration sensor allows continuous determination of the forces acting on the driver during the run, with each axis measuring a different acceleration parameter. The OMEGA Measurement Unit benefits bobsleigh racers and their teams because it gives them immediate access to data, which, in turn, allows them to adapt and improve their training programs. The development of the OMEGA Measurement Unit started in October 2011, providing some interesting challenges. On one hand, data captured would have to be comprehensive enough to serve as a basis for in-depth post-race analyses by coaches and technicians. On the other, a nearly undelayed wireless transmission combined with fast and simple processing was considered essential due to the demands of real-time visualization of the live data. 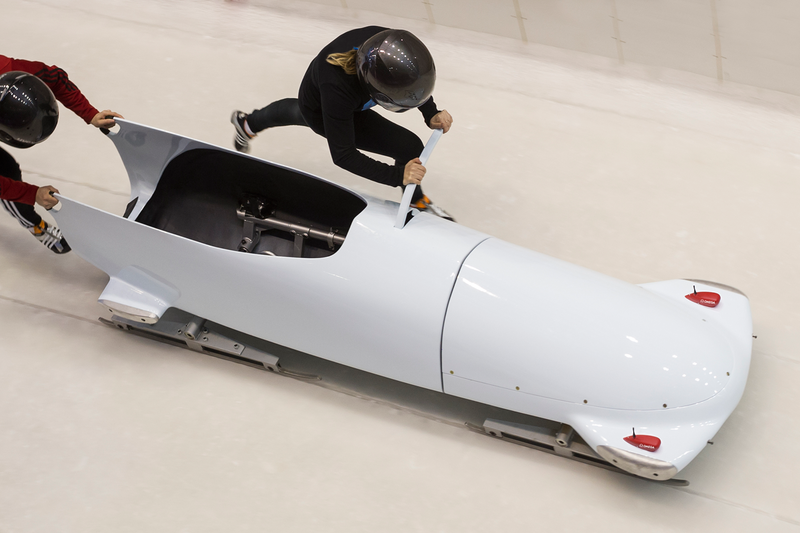 Its development was motivated by the introduction of the OMEGA Monobob Series and its association with the small, sleek, aerodynamic one-person bobsleighs made it possible to advance the technology very quickly. A relatively simple early prototype of the unit was assembled. Intending to keep things basic at this stage, the designers did not include certain features, such as the wireless transmission function, that would later be crucial. Accordingly, sensor data had to be recorded directly on a mini-PC mounted beside the prototype circuit inside the bobsled chassis. Obviously, the system at this point was large and heavy, but the three basic sensor components – the radar, gyro and accelerometer – performed well. In late 2011, the design team alternated outdoor tests and indoor evaluations at short intervals and early in the following year, it was already possible to present the first video clip, showing live camera footage combined with a graphics insert that was after the run from synchronized sensor data. Much of 2012 was dedicated to refining the wireless transmission part of the project and after months of evaluation and a redesign of the unit, a prototype was ready for extensive onsite testing in the 2012/2013 season. It was clear that almost every objective had been achieved, including live data transmission and the insertion of live data from multiple bobsleds into television graphics. The OMEGA Measurement Unit is fully tested and ready to add to the excitement of the bobsleigh events at the Sochi 2014 Olympic Winter Games.